“You got it, dude,” Michelle chirped. With that, they said their good nights. “Somewhere,” Danny said with a disgust that was repressed but far from hidden. “You’re talking about your sister!” Danny hissed. “Sometimes I wonder…” Jesse said, each syllable coming despite his obvious reluctance. Shaking his head, Jesse left for his and Becky’s room. While he entered the basement and moved the boxes blocking the door that he told his children just led to a disused closet, Danny reflected bitterly on how much he loved Jesse like a brother and as a result how much he despised having to lie to him. No, it was necessary. Their situation was bad enough. It was better that the burden should be his alone, wasn’t it? As always, as soon as the door began to creak open the noises began. It was primal in a way that seemed to be out of tune anywhere outside the imagination, the way it tickled Danny’s lizard brain and clawed at his nerves. “….ttttlkkkklllkkkk…” it went, the noise becoming louder. As always the dimensions of the room felt wrong, as if he had just stepped into the atmosphere of an alien planet even though the room was certainly in San Francisco, California, United States, North America, Earth and was as always small and empty, save for what at a glance appeared to be a cloud and some lights at the left side of the room. “…ttttllllkkllllkklll…” it continued to hum. Danny knew from the beginning that it was intelligent, but he suspected that when it tried to communicate with him it was like any human communicating with an ant. Looking at it for more than a couple of minues gave Danny migraines, but when he could resist the overwhelming instinct to look away he saw a dark mass, looking like neither flesh nor a cloud, whose full height and width did not seem to stay constant from second to second. That day he pieced together a description of the Fifth Ceremony of Carcosa and conjured it into this room, he thought he had made a terrible mistake. Then they returned, as if that accident with the drunk driver and everyone in Joey’s van never happened. Indeed, Danny looked, but he could find no newspaper articles or obituaries describing the accident as it originally happened, even though the memories of receiving that phone call from the police was still emblazoned on his memory. For Jesse it took longer for Becky and the twins to come back, but it did happen. The third week that it was there he found Pam inside of it, but she did not speak and only peered at Danny with empty eyes. Then eight months later, it spoke with at most two-syllable words. Now he could almost have conversations with Pam, just barely. “Oh. I think I can see it now,” she said. The voice was different too, more casual, more even. He could almost believe that the worst day of his life by far never happened, that the idea of Pam being gone for good never had to even cross his mind. Danny approached the cloud, even though something deep inside screamed for him not to take a single step, and took Pam’s hand in his own. It was warm. The first two years Pam’s body was cold and he couldn’t feel any blood pump through her. The thought surfaced unwanted: It’s learning. “I feel very good. I just want to see you more often,” she said gently. Let me begin by saying this: Jack Kirby was a genius, in every sense of the word. Kirby was also astonishingly prolific, having an entire portfolio of ideas from the ’70s and ’80s that were never truly completed, much less adopted into print. Along came Topps Comics, a subsidiary of the trading card company of the same name and one of the practically countless companies that mushroomed in the comics boom of the early ’90s (and withered away in the crash of the late ’90s/early ’00s). With an eye toward long-time readers of comics, Topps licensed some of Kirby’s old concepts to form the basis for the company’s very own “Kirbyverse.” Granted most of the titles under the Kirbyverse umbrella would be written and drawn by people who were distinctly not Jack Kirby, who would pass away the year after “Satan’s Six” was published, but these were still concepts from the same mind that gave us the X-Men, the New Gods, the Fantastic Four, Thor, the Newsboy Legion, and Destroyer Duck. One of those unused concepts that probably lied in a file cabinet in Kirby’s home for many years was “Satan’s Six,” which is a great title however you cut it. Kirby had come up with the premise, most of the character concepts, and had even scripted and drew eight pages. When Topps picked up the license, they had Tony Isabella (probably best known for his run on “Ghost Rider” and as the creator of DC Comics’ “Black Lightning”) write a script incorporating Kirby’s pages with art by John Cleary (who didn’t do much outside this series, except some work for Image Comics in the early-mid ’90s). Whatever Kirby originally envisioned with this series, and info on what “The King” himself had in mind with “Satan’s Six” is surprisingly scarce, the published result was, in spite of the title, a light-hearted comedic romp, just about the adventures of a group of wayward souls trying to earn passage into Hell. 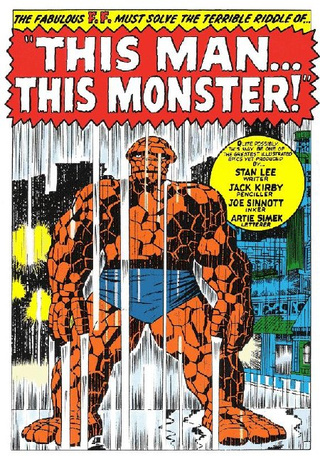 Topps certainly treated the comic like a fan’s dream event, having big names like Frank Miller, Terry Austin, and Steve Ditko ink single pages while the pages Kirby originally drew and scripted were included in full (albeit far from seamlessly). But…did it merit such attention by so many greats? 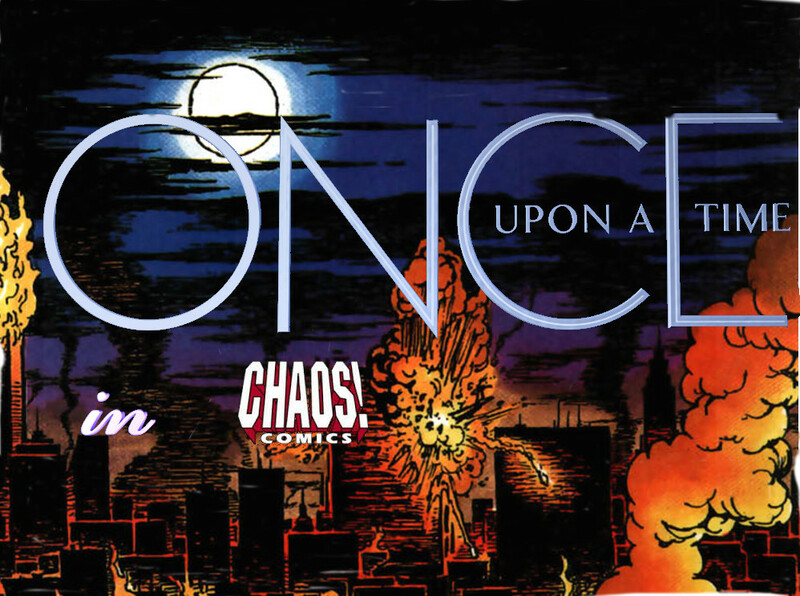 It’s a fun premise that takes a fairly dark concept – I mean, imagine a group of people so fed up with a bland, desolate afterlife they’re eager to go to Hell, and that same group who without hesitation sign up for a job of leading others into damnation – and builds a zany comedy from it. 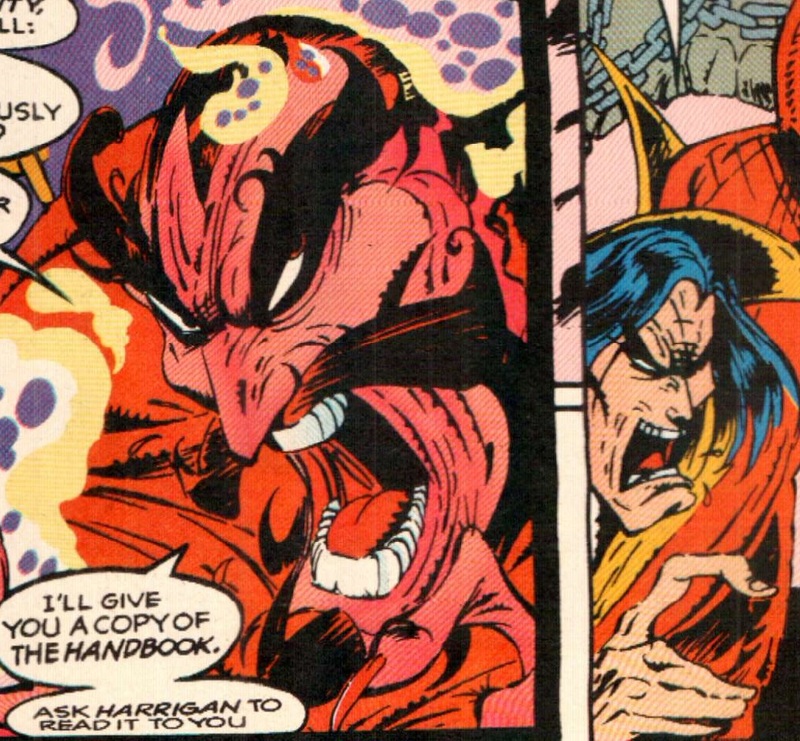 It’s perfectly possible to have something light-hearted and militantly goofy from even the idea of eternal punishment – after all, Looney Toons had plenty of blunt references to the Devil and Hell – and in the grimdark, macho atmosphere of early ’90s comics “Satan’s Six” still stands out as a nice change of pace. Also it is true that the comic was clearly written for diehard fans; hell, the very first couple of pages include a rather touching tribute to Joe Shuster. 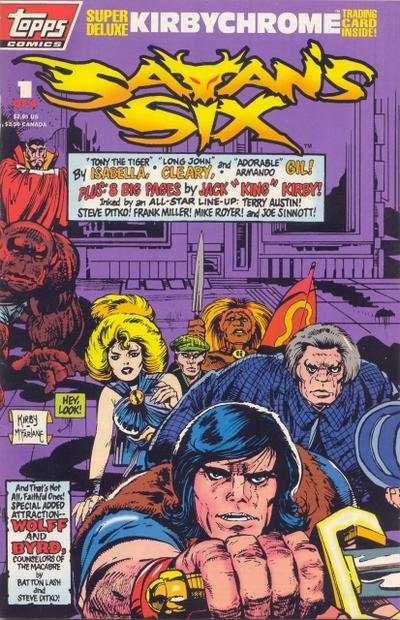 So why was “Satan’s Six” a failure, destined only to be remembered by Kirby fans? Well, there are plenty of theories. One is that fans were willing to lay down money for something drawn and written by The King, but not old concepts of his handled totally by other people, no matter how well-known or talented in their own right. Another is that Topps failed to stand out in a market that was already oversaturated and being dominated by newcomers like Image/Wildstorm and Valiant. These are probably true, but for me…well, look at the page above and behold the teeth. I don’t get any delight from blaming the failure of a collaborative work on any single person, but John Cleary’s contribution is…to put it in polite academic-ese, problematic. For starters, saying his style is somewhat influenced by Todd McFarlene is like saying that Oreo cookies are slightly derivative of Hydrox cookies (and no, it’s not the other way around). Then there’s…the teeth. But it’s not just the teeth, it’s that even when his characters are just talking they look like they’re screaming or at least they appear like they’re trying to hold a conversation in the middle of a bowel movement. Keep in mind, this is just during a normal conversation! Put aside arguments about quality; the styles are so different they don’t even seem to belong in the same galaxy, much less the same pages in the same comic. 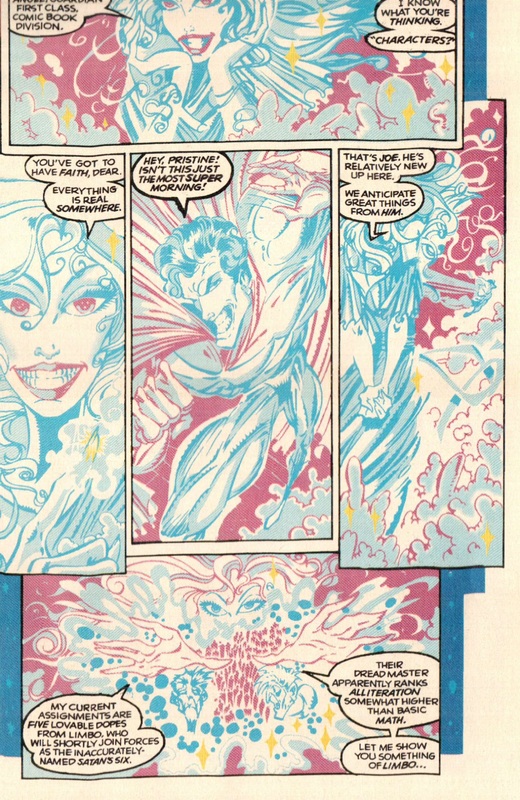 Couldn’t they have hired an artist who would or could closely imitate Kirby’s style? Would that have been so difficult? It’s not like Jack Kirby was the single most influential comic book artist of all time. To be more positive, Tony Isabella does what he can with what he has. There are some good gags and one-liners, even if the jokes about Arthurian knight Brian’s megalomania make him out less to be a lovable oaf and more an unpleasant sociopath (much like latter-day Homer Simpson, actually) and the Babylonian dancer Dezira is a receptacle for dumb blonde jokes so ancient they probably were uttered in the comedy clubs of Babylon (although, Dezira’s existence notwithstanding, did the have blondes in Babylon?). Honestly, at the risk of blaspheming the King, I think some of the key flaws from the writing front come straight from the original concept. The protagonists really are terribly one-note – literally the only thing we learn about member Harrigan is that he was a gambler from the 1930s – and the subject matter is maybe treated too lightly even in the outlines. Maybe it would have worked better in the ’70s when you had weird and PG-rated yet still edgy occult concepts like Marvel’s “Son of Satan”, and as far as I know maybe comics like that were the original inspiration, but in a grittier medium that had known the pitch-black comedy of Marshal Law and Milk & Cheese, a comic with a premise like this one demanded somewhat darker tones. Jack Kirby be with you, Satan’s Six. Even he couldn’t save you from being filtered through the warped sensibilities of ’90s comics. Like I said, if you look at it from a certain angle or maybe while standing on your head it does look like an early satire of ’90s comics. Brian the knight kind of does come across as a parody of the macho ’90s superhero. But that might be reading too much into it, and the fact of the matter remains that even an industry veteran like Tony Isabella couldn’t figure out how to take a half-finished concept from Jack Kirby and make it into something that would fit into the medium as it stood in the ’90s and at the exact same time hearken back to the glory days of one of the greatest minds to work in comics and, honestly, any medium. Oh well, at least the issue also has a “Wolff & Byrd, Counselors of the Macabre” strip drawn by Steve Ditko. I intended to post on something else, but WordPress’ image editing function is glitching on me for a reason I cannot even guess, so here’s another image-free post on Worlds of Power: Castlevania II. 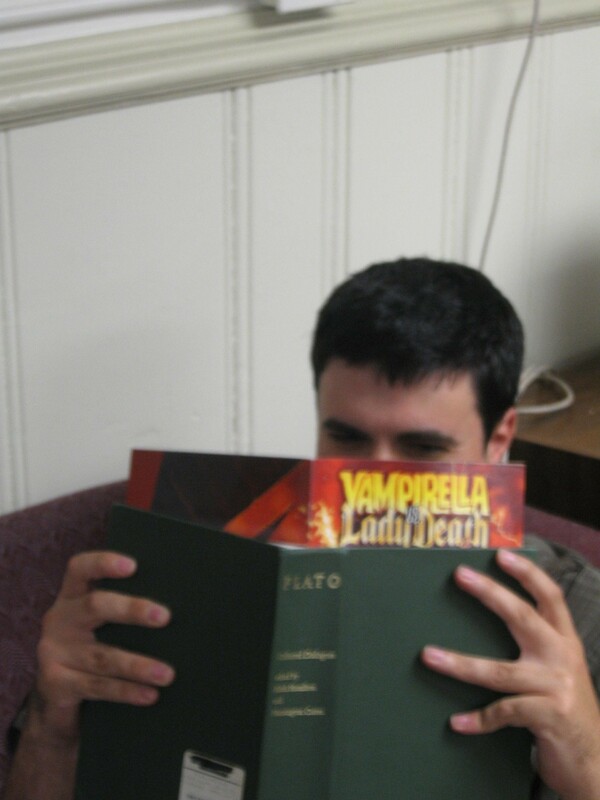 At least this gets me one step closer to being done with the least horror-esque book based on a horror franchise ever. So, now that Simon and Tim are on the verge of fulfilling their mission, surely they’ll face a true threat now, right? I think I’ve seen Care Bears episodes where the protagonists were routinely in greater moral danger than the protagonists of this novel. Anyway, Tim and Simon run across a monster Tim compares to the Creature from the Black Lagoon. I guess it’s supposed to be based on the mermen enemies from the Castlevania games, but by this point does it really matter? Whatever it is, it’s named “Freddie.” From the resulting conversation we learn that all monsters, including Dracula, just end up in another dimension. ‘Cause here we can’t even refer to destroying the undead vampire that embodies the ultimate evil (okay, I know in the actual series Dracula never really dies, but still…). The floor shook. A fissure opened in the rock, and something emerged that made Tim want to just forget this whole thing, go run back to his home dimension and hide under his bed. It was an eyeball. A flying eyeball! Of course, a flying eyeball boss doesn’t exist in the game, but at least it’s something! Could F.X. Nine be attempting to capture something of the spirit of the games finally? Never mind. As you might guess, Simon defeats the eyeball kid by throwing a cloak over it and stabbing it (eeeeww…), which, the narrative makes clear, doesn’t destroy it and only sends it back to that magical dimension of Wimpy Lazy Writing. I know I harp on this nearly every post I write about this book, but I still can’t believe that the writer is so reluctant to even let the monsters die. Come on, even the bad guys (and parents of protagonists) die in G-rated movies! We do, though, get an appearance from Dracula, who does appear in a rather eerie way. When he turned, he saw the skeletons were joining together. And from their joined bones and skulls, a face was forming. “Bah!”he cried in a voice that sounded like the rattle-snap of thousands of bones breaking. Okay, I have to admit, I like that bit. Oh, Dracula, honey, part of being a good villain is not sounding so desperate. Oh my Alucard, I hope that Dracula is wrong about us having much further to go. It’s been a while, but I can’t leave anything uncompleted, even a crappy kids’ book written purely for profit based on the least popular installment of a horror video game franchise that can’t even really talk about horror. Anyway, Simon and Tim go to Berkeley Mansion, home of one of Dracula’s body parts that must be destroyed. Naturally, they must find a secret passage. Luckily, this doesn’t involve just throwing holy water on random blocks like in the game (it makes sense in context, sort of, not really) but touching a white crystal to an arrowhead. To be fair, the crystal is in the game, but not the arrowhead at all, so don’t expect this book to even serve as a useful strategy guide – which would be rather sad if that’s what you were expecting from the book, anyway. “Something evii is blocking this passageway!” he said. “Which means that it may be something that is protecting the rib of Dracula! Simon dug into his pack and drew out the large flask filled with the Holy Water they had received from the monk. “If indeed this is evil, it’s not going to like this!” He tossed a splash of the water upon the wall. The effect was immediate. It was as if Simon had tossed a stick of dynamite. To be honest, I kind of do wish the book had more of things like evil walls exploding because holy water was poured on it. So what lies behind the wall? Murderous animated skeletons, a swarm of floating Medusa’s heads, a vampire bat the size of a car? How about “Nothing from the source material”? Castlevania: Land of Danger and Excitement!